We've all seen it: that one lonely suitcase on the baggage claim track at the airport that goes around and around with no owner in sight. What happens to it if no one shows up? Well, it might end up at the Unclaimed Baggage Center in Scottsboro, Alabama. That's where you can visit a store that takes up an entire city block and find everything from the expected (clothing, toiletries, books) to, well, the unexpected. Here are 10 of the strangest items that have gone unclaimed. Unlike other items at the Unclaimed Baggage Center, Hoggle is not for sale. He is now a permanent part of the Unclaimed Baggage Center Museum. If you're not familiar, Hoggle was David Bowie's dwarf-goblin minion in the 1986 movie. From a mummified falcon to a shrunken head, a bunch of objects dating back to 1500 B.C. were found in an old Gucci suitcase. Christie's auction house ended up selling the museum-worthy items in the 80s. —roaming free amongst the rest of the unclaimed baggage. Yep—a piece of equipment worth $250,000 was lost and never claimed. The people at the Center decided to be good sports and return the expensive GPS to the Navy. (but not in the way you think). A woman purchased a Barbie at the Center for her daughter, which isn't at all unusual. After all, kids lose toys all the time. But when the girl yanked the head off her new Barbie, $500 in rolled bills tumbled out of her body. Unlike the Egyptian artifacts, this guy was merely a replica of a 19th century piece. 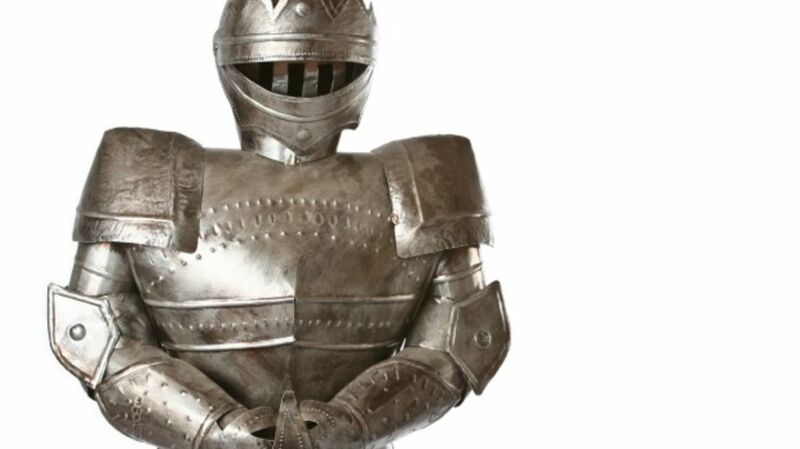 Still, I bet to this day, there's a guy out there who continues to tell the story of the time he lost a suit of armor at the airport. Like Hoggle, it resides in the Unclaimed Baggage Center Museum. Between this and the Navy's lost luggage, I'm slightly concerned about the security measures our government agencies are taking! As with the Navy's guidance system, the Center dutifully returned the camera to NASA. I've had missing luggage before, but it has always eventually shown up. Have you ever had anything completely and totally lost by an airline?